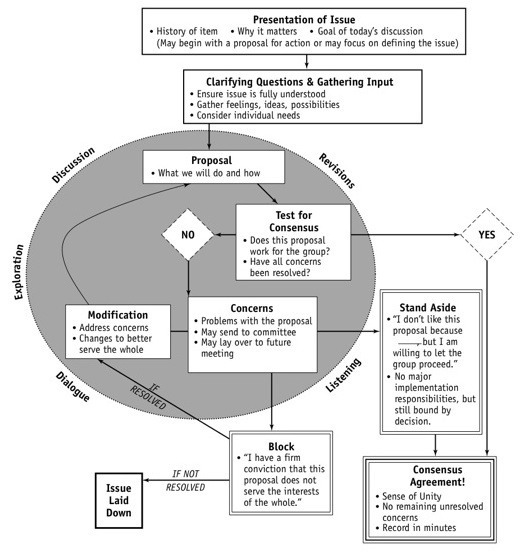 A visualisation of the consensus process. Loomio tries to express these processes, but in the form of a distributed and asynchronous app. Using technology, this process doesn’t need to be linear or chronological, meaning it can become much more efficient.